You may have heard of, or are interested in, using smartphones that employ dual-SIM cards but aren’t exactly sure how it all works. Maybe not everyone knows it, but dual SIM smartphones are not all the same. Let us break down everything you need to know about dual SIM smartphones. There are fundamental differences between DSDS (Dual SIM Dual Standby) smartphones like the new iPhone XS and DSFA (Dual SIM Full Active) smartphones like the Galaxy Note 9. What are these differences? Let’s take a look. It sounds like a trivial question but it's important to go back to basics. Before talking about the differences between the various dual SIM smartphones, it is essential to understand what this term means. Dual SIM is the ability to manage two SIM cards (or two phone numbers) at the same time. They are divided into DSDS and DSFA smartphones. Dual SIM smartphones are excellent for those who have more than one phone number, for example, private and work, or for those who prefer to experience different phone rates of two different operators to get the best from both. For example, you can have one card dedicated to calls and SMS while using the other card with a more advantageous data plan. These smartphones are also very useful for those who travel often and maybe use the local card together without sacrificing availability on their personal card. Also, many messaging apps also support dual SIM: you can choose which SIM card you would like to use to send a message. The developers of Go SMS Pro, for example, have added dual SIM support to their application. What changes between DSDA and DSFA? DSDA stands for Dual SIM Dual Standby and means that the two cards installed inside the smartphone cannot work simultaneously in generating "traffic" (data or voice makes no difference). To be clear, both cards installed in a DSDS smartphone hook up to the antennas of your operator at the same time, but in case of an incoming call on Card 1, for example, Card 2 will be put into standby mode, as you were making a call yourself. Of course, the same applies when reversing the cards. On all dual SIM smartphones, only one card at a time can be connected to the Internet. Fortunately, there are smartphones equipped with a function called Hot Swap. Smartphones equipped with Hot Swap can choose which card to use for data connections in the device settings. 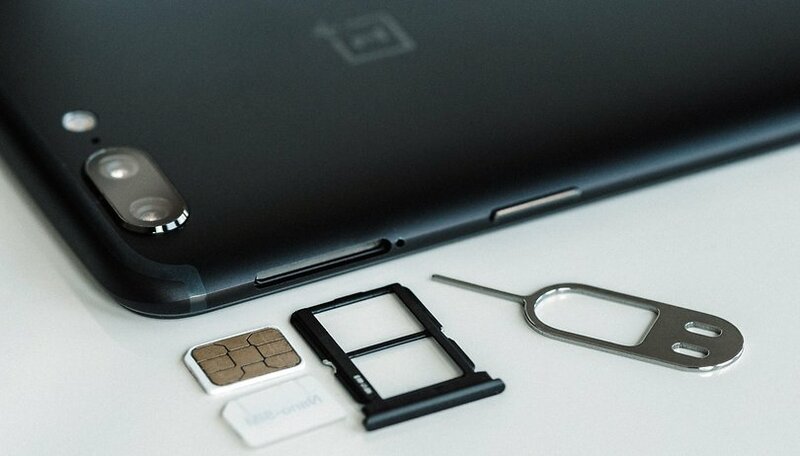 For smartphones without Hot Swap, it is necessary to reverse the order of the SIM cards when you want to make the change, as only the primary card has access to the data network. DSFA, an acronym for Dual SIM Full Active, is a more complete but also a more energy consuming technology. DSFA smartphones can receive calls on both cards at the same time, just like the old ISDN landline phone lines. In case of an incoming call on Card 2 during a call on Card 1 you will receive a call alert and you can handle both calls at the same time. DSFA smartphones are fewer and far between and are usually only high-end devices like Galaxy Note9. DSFA smartphones usually support Hot Swap. Other smartphones, such as the Huawei P20 Pro, supports 4G and VoLTE on both SIM cards at the same time, allowing you to get the best internet browsing and calling experience on every single card even though they do not support DSFA functionality and therefore cannot receive or make two calls at the same time. Can I use two SIM cards from two different operators? It depends! When a smartphone is blocked by a carrier, it doesn’t accept a SIM card that comes from another provider. Do you already use a Dual SIM smartphone? If not, are you interested in this feature? Let us know in the comments below. I'm in the US. I have two phones/sim cards with T mobile that I want to use in a dual SIM NOTE 9 but have been told I can't use them in the same phone. Does anyone know anything about this? I have a Samsung j5 with 2 sim cards. I can get whatsapp messages to sim card 1 but not to sim card 2. How do I overcome this problem please? I am coming from Israel to the UK for two years. I purchased a new unlocked GINI smartphone (part of the pelephone mobile company in Israel) with dual sim card capacity and I am hoping that I will be able to use the phone for both my Israeli number as well as a British mobile number which I will purchase. The phone has a simple click ability to switch between the two sim cards but you can only use one at any one time -. if im only using 1 sim only, do my inbox message display the sim1/sim2 only? when will appear or display the sim1 and sim2 on my message/text inbox? So basically it's a single SIM phone with connectable (via manager) tray for a second SIM? what type of sim cards do they use? like micro or nano? Im using a samsung galaxy s5 but im not receiving calls one sim while connected on internet on another sim. What can i do? The latest dual SIM android devices allow you to receive calls in any of the SIM cards without switching anything in the phone. You will only need to set up which SIM card will be used for 2G or 3G when inserting a new SIM card, onwards the phone should automatically pick up the calls based on the initial configuration, which will remain until you change any of the SIM cards again. .same or different network providers is prob not an issue for me but say for example. ..
can someone else call me on sim 2 . There are a lot of dual SIM models in the market and a many manufacturer too. There are also two main types of dual SIM devices (dual SIM active / dual SIM standby). If you want to use two different SIM cards from different telecom carriers you have to buy an unlocked handset, but you can also buy an unlocking code or root your phone and get total control of your phone. In summary, there are many things that you can do with a dual SIM phone. Here in New Zealand there are 4 carriers. Only two do GSM as a backup of 3G and one of those Vodafone GSM coverage is bad, 3G good. Telecom NZ and Skinny Mobile only do WCDMA so dual WCDMA SIMs is a must..
To be honest I like that one of sim's is 2g for the battery management. 2 3g at once could be a killer for it. The one problem I've seen with dual SIM fones is that SIM 1 does WCDMA but SIM 2 only does GSM. I see that the new Moto G has two 3G SIM slots so here's hoping it works..
Crysis, yes you will receive the call if you're using the Internet on one of the sims. Internet connection isn't counted as a phone connection. Is exactly the same thing when you are using data connection on a single sim phone and people can still call you. Btw I'm a proud owner of a dual sim bought from China, a Jiayu G5 Advanced - 2gb ram and 32gb internal memory and all I can say is that I love it. I don't feel sorry for the approx 400$ payed for it including shipment and customs tax. but there are many smartphone available in market that uses two different SIMs of two different operator and at the same time both still active.